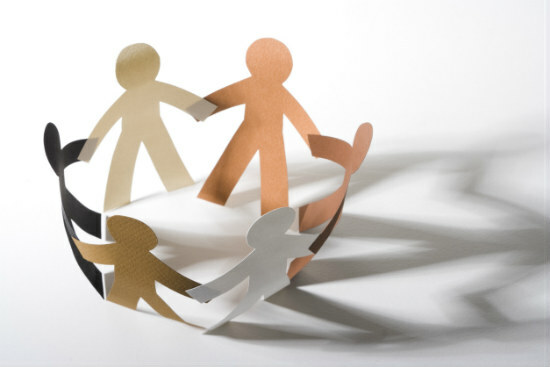 Peer to peer lending: Who offers it in NZ? As a business model, peer to peer lending (P2P lending) is relatively new in New Zealand, but it’s growing…. 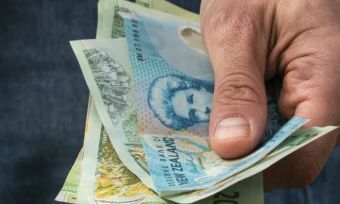 Here is a quick rundown of the main P2P lenders in New Zealand. All have been licensed by the Financial Markets Authority. Harmoney launched in New Zealand in September 2014 and is New Zealand’s first licensed and operating Peer to Peer Marketplace. 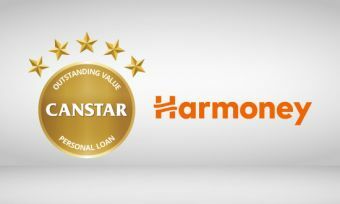 In 2016, the lender achieved a five star rating from Canstar for outstanding value in personal loans for it’s a credit rating loans, for the second year running. In its first year of operating in New Zealand, the lender facilitated 70,000 loan applications and settled $100 million in personal loans. It has now facilitated $250 million of settled loans, according to its website. The lender launched in Australia in 2016. Harmoney provides unsecured personal loans between $1000 and $35,000 with 3& 5-year repayment terms. Harmoney has attracted 4800 active individual investors with average account balance of $8500. Squirrel Money uses a personal bidding system, where investors put in bids by stating the rate they want and how long they want to invest for. The bids are then matched against the secured and unsecured loans on Squirrel Money’s platform. It manages the risk of peer-to-peer lending by using a reserve fund that it calls, “Loan Shield”. How this works is it takes part of each of the borrower interest payment and puts it into the Loan Shield to cover any unexpected credit losses. If a borrower defaults on a loan, the reserve fund covers the payment to investors, provided there is enough in the reserve. At the time of writing, here are the following funds either being requested to borrow, or that lenders have available to lend: potential borrowers – $624,500, qualified borrowers – $222,750, awaiting funding – $26,335 and loans recently funded – $364,854. LendMe is New Zealand’s first peer-to-peer lending system to specialise in secured loans. Borrowers can apply for loans between $25,000 and $2 million; lenders can then either fund loans in full or in increments of $1000. Because LendMe specialises in secured loans, this means the loan is secured against the borrowers’ assets, most commonly against mortgages. LendMe sets the loan interest rate based on a borrower’s credit score and other criteria, such as available equity. LendMe received its peer to peer license in April 2015 and started trading in September of that year. LendMe manages lending to consumers and businesses. Lending Crowd is a financial technology (fintech) company. Lending Crowd provides rate and term options after assessing the borrower’s individual application. However, borrowers are always given the option of choosing between a 3 and a 5 year term and can borrow up to $200,000. Investors must deposit a minimum initial amount of $500. But they can “act like a bank” and diversify risk by investing in multiple loans at once by purchasing portions of loans in minimum of $50 increments, all the way up to the entire amount of the loan. Lending Crowd divides loans into four “investment grades”, across two asset classes – it provides lending to small businesses and to consumers – so investors can invest according to risk appetite and goals. PledgeMe is designed to help companies and organisations borrow from their “crowd” (investors) to help them work towards a goal. The campaigns work by offering loan notes in return for pledges. If the campaign meets its minimum target, then pledgers become lenders, who the company then repays over time at an interest rate the borrower has set. Southern Cross Financial Limited is the newest P2P lender on the block, officially announcing its approval as a peer to peer lender on 22 November. The Financial Markets Authority has granted the group a peer-to-peer license. Due to legislation changes, the company has had to transition from its “contributory mortgage” model to peer-to-peer mortgage lending. Like LendMe, this means borrowers borrow against an asset, specifically their mortgage, in this case. All loans are made available to investors but, if a loan is not taken up, Southern Cross Financial Limited will retain it. Southern Cross Limited’s new P2P model is effective as of 1 December.